This is a photo my husband took of Sora “Ima Hollywood Costar” when she was about 2 hrs old. Nap attack! 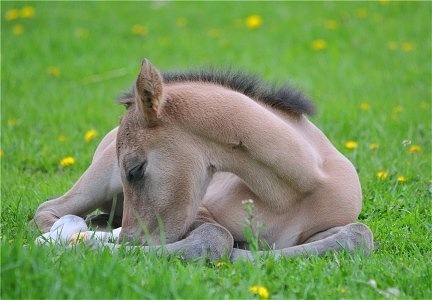 I entered it in a photo contest and she won “Cutest Foal” and a leather weanling size halter!